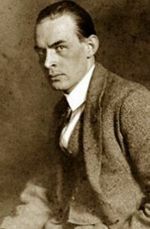 Erich Maria Remarque (June 22, 1898 - September 25, 1970) is the pseudonym used by Erich Paul Remark, a German World War I veteran and author of the novel All Quiet on the Western Front (1929). Born in Osnabrück in a Roman Catholic family of French ancestry, Remark volunteered for service in the Army at the outbreak of war, and arrived on the front line in 1917. Within months he had been wounded, and spent the remainder of the war in the rear echelon. In 1933 the National Socialist German Workers' Party (Nazi Party), on the orders of Joseph Goebbels banned the novel and ordered copies to be burned. Since 1931 he had been living in Switzerland, and in 1939 he emigrated to the United States, becoming a naturalized citizen there in 1947. In 1948 he returned to Switzerland, where he died in 1970. ↑ Il Potere e la Gloria, op cit. This page was last modified on 22 May 2017, at 16:40.